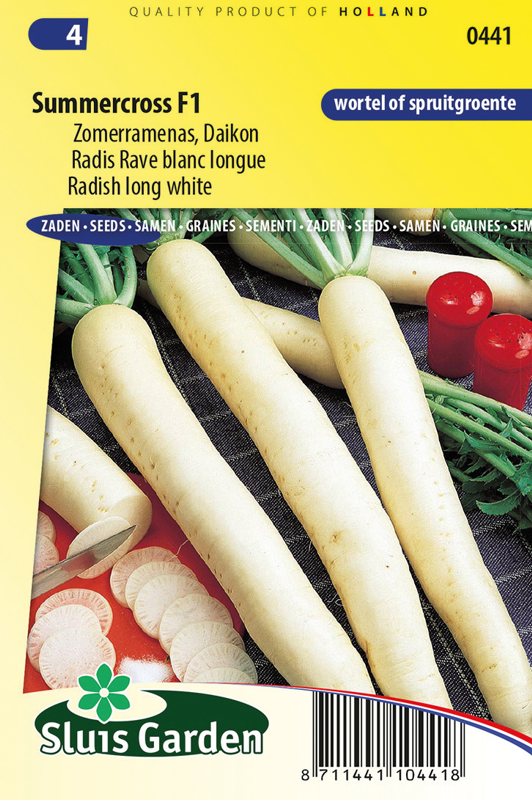 Long, white winter radish which is also called Daikon. 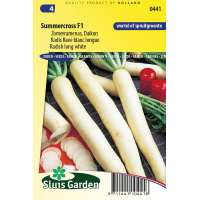 Suitable for summer cultivation. The roots have a fairly sharp taste and can be eaten raw as a snack or, for example, in sandwiches. Is also an excellent sprout vegetable. Contains many different minerals such as calcium, potassium and phosphates as well as vitamins B and C. For winter storage twist off foliage, do not cut off . Sow thinly in rows. If too close, tubers do not form. Loosen up the soil and do not fertilize too much.